Experience a variety of treatments using the MONU skincare range containing natural ingredients of essential oils and plant extracts. 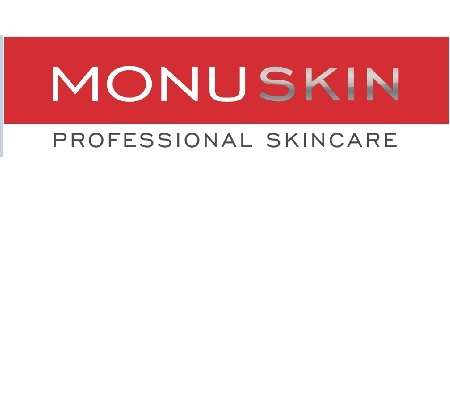 MONU products are NOT tested on animals, have recyclable packaging and are ECO friendly and paraban free. An in-depth analysis of the skin including face mapping to determine the best course of treatment and home care to correct your skin concerns. A wonderful facial tailored to suit any skin type. This luxury treatment provides exfoliation and an applicaion of a warm oat compress to the face with essentual oil for your specific concerns. Deeply nourishing, calming and soothing. This anti-ageing eye treatment is brilliant to fight dark circles and puffiness, fine lines and wrinkles by using freeze dried collagen eye patches. The Prescriptive Facial is perfect to firm, tone and plump the skin. The specially formulated MONU gel mask delivers intensive hydration. This bespoke treatment is ideal for any skin type as it is tailored to your individual needs. A top of the range line smoothing treatment with a seaweed compress to lift, energise and smooth the skin. Perfect to refresh and revitalise skin. Effectively reduce the signs of ageing with the intense Hydra Lift Collagen facial. Formulated using freeze dried Collagen sheets to reduce wrinkle depth by up to 40% smooth fine lines and boost hydration for a refreshingly younger look. Perfect for dehydrated and sun damaged skin also. This treatment offers an advance approach to your anti-ageing needs. It restores suppleness and elasticity, smooths fine lines, plumps deeper wrinkles and relaxes expression lines. With a choicer of two specific treatment masks to meet your skin's desires. Want top keep up to date with regular newsletters from Corner House Therapies, then please enter your email address below.